Fusion Duniya About Us: We are a professional Oracle Fusion Applications training and consulting company. In addition to Oracle Fusion Applications Training, we also give professional training in Oracle EBS R12. The company is promoted by a team of experienced professionals. Fusion Duniya provides Online, Classroom and Corporate training in all offerings of Oracle Fusion Applications and EBS. We also cater real time projects to our students so that they can have hands on experience of what they learn. We have competent & professional trainers and precisely designed online, classroom and corporate training programs. Because our trainers have been specially recruited from IT majors, the training program with us is very professional. Furthermore our trainers have done consulting around the globe as result therefore training at Fusion Duniya is very professional. In addition to content, our course curriculum also contains training for interview handling techniques. We further more conduct and exclusive seminars on industry oriented awareness programs by domain experts. Therefore the availability of this resource along with extreme cost-effective nature of our flexible training module furthermore should give anybody a cutting edge. At Fusion Duniya, our training division is well supported by the placement cell so it helps candidates attend interviews with IT majors and get selected. Hence the perfect blend of people, vision and technology can result in innovative solutions. Therefor the range of functional experience and skill sets provide any company the right foundation to explore the realms of emerging technologies and to develop solutions for the future. Fusion Duniya offers Oracle Fusion Applications Online Training so that students from all over the world get trained remotely. We conduct Online Training by the experienced Real Time Professionals. 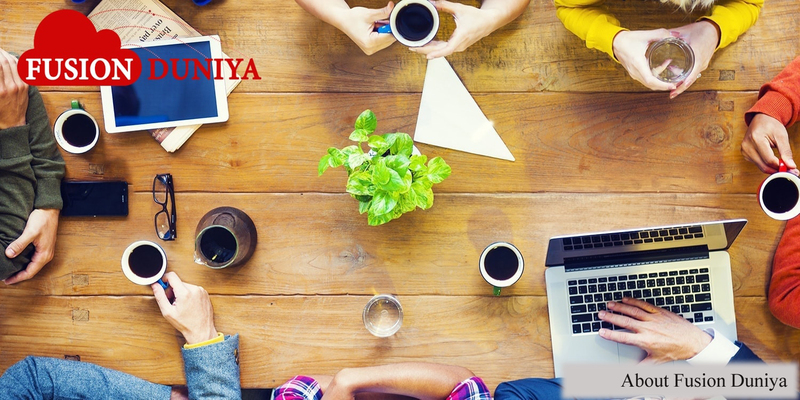 Fusion Duniya provides corporate training to various organisations. 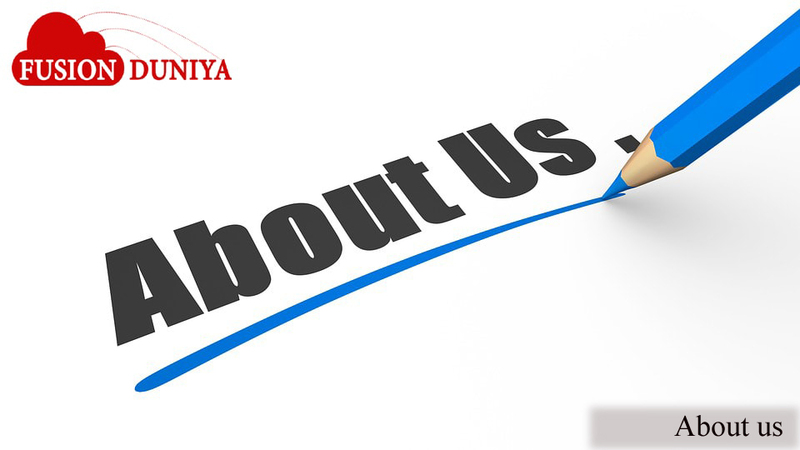 Fusion Duniya also offers support and consulting solutions as per requirements.